Dear Tiny House Swoon Crew, my girlfriend and I started building a tiny house for us in april this year. 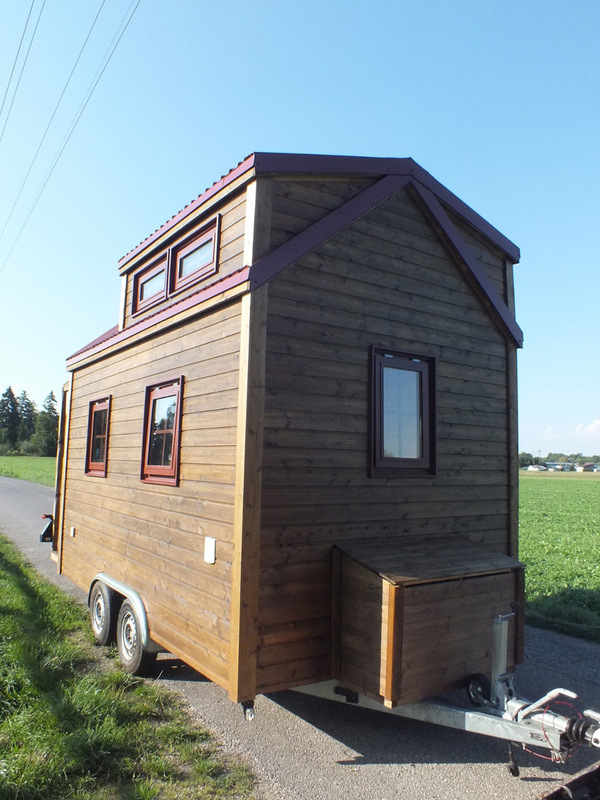 I think its worth a look as I know there are not a lot of Tiny Houses in Germany yet. We are living tiny already and we were searching for something what is even more mobile and easy to transport. We started reading about tiny houses and wanted to build our own. 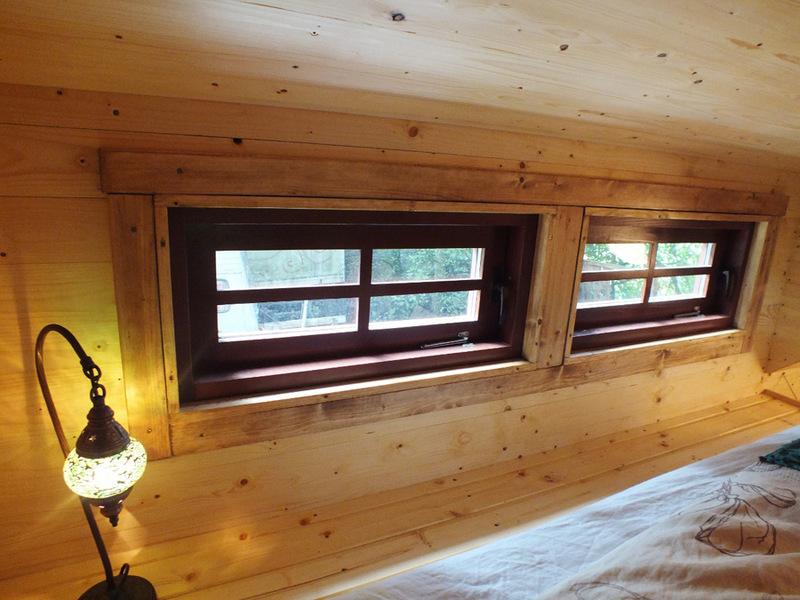 It’s all ecologically built and oiled, isolated with hemp and it’s got floor heating. 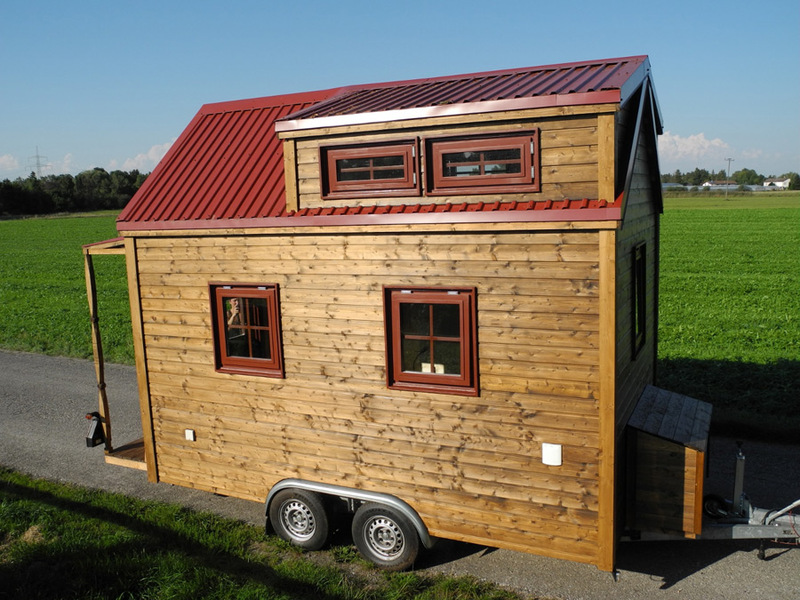 An owner-built tiny house on wheels in Germany. Owned and shared by Christiane and Caitalin. 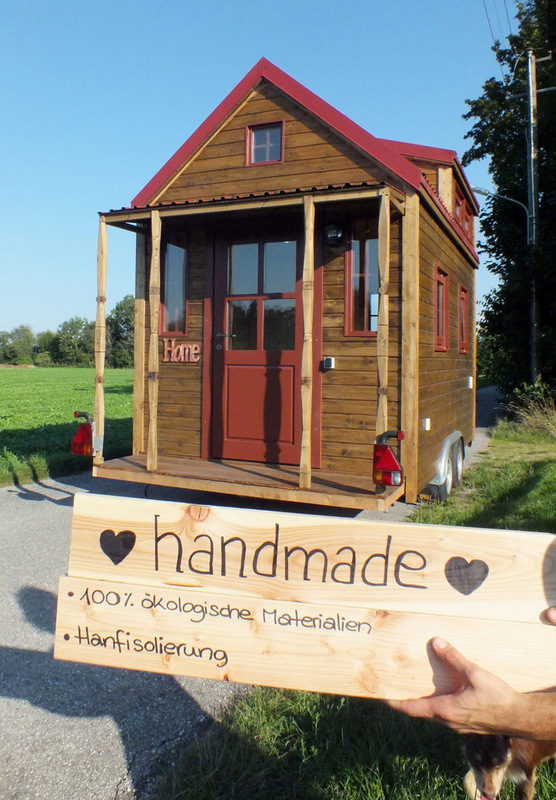 Great to see more and more tiny houses in Germany! Is there a way to get in contact with the owners? I living in Germany and would love to get in contact and ask more questions. 21 pictures. Definitely know what it looks like. Nice house, though. What a beautiful house I like your idea for the lining of the shower. Enjoy your time in the house. For better or worse, the tiny home is up for grabs. Hallo from Frankfurt am Main! I thought there were laws against tiny homes in Deutschland. How have you navigated around this? Is your city registration still linked to a more permanent home? Very nice by the way- as I know wood is so expensive in Germany, I wonder how much you spent in total? What material is that in the shower? Plexiglass? yep, you can have a party ! 🙂 thanks! Wow, what a beautiful house you built, congratulations! 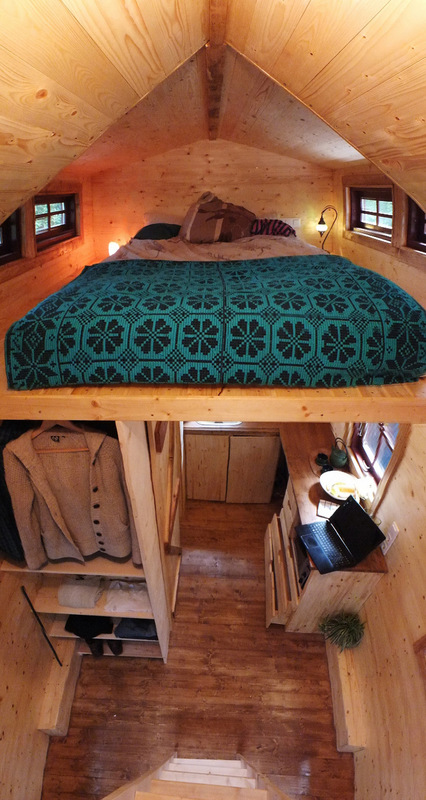 Thank you so much for bringing a tiny house to Europe! I’ve been thinking about building one myself, but wasn’t courageous enough so far. I wish you many wonderful and cozy days in your lovely castle! Great design for a first self-building Tiny House ! Smart choices for a smart living. Really great, thanks to offer that kind of Tiny to our view.